Johan van den Heuvel (Teddy) built this diorama that incorporates several building techniques to give the impression of a wood-paneled study. Mr. Whiskers, the cat, is plotting to take over the world. Mine just nap. 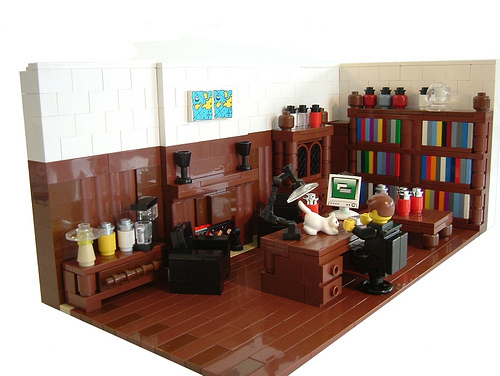 My favorite element is probably the coffeemaker, though the bookshelves are a close second.